Polly decided to change the hairstyle just you and her how you can help. 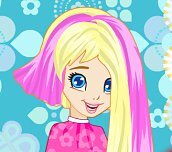 Wash her ​​hair and then blow-Unleash your imagination in cutting, coloring and filming. What hairstyle you produce it is up to you. Great game for all the little hairdresser. You have before us a beautiful blonde hair that can do according to his fancy, or according to a predetermined pattern. 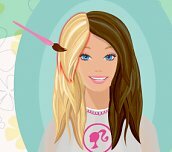 At the end you will be rated according to how much you will hairstyle as shown. It's about what you choose at the beginning. 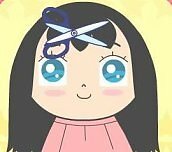 In this game comes to your hair salon and a little girl to her you can (or actually have) to provide the service. Washing, blow-drying and finishing. And finally, she can do what with the hair as you wish - wind, iron, do up ... How could you want.